It's amazing what desserts you can come up with when you have an entire jar of Marshmallow Fluff in your fridge leftover from an assignment. So far this week, we spread it between chocolate chip cookies, made banana-mallow whoopie pies, and ate it straight off the spoon. Next up? Dipping strawberries in it then toasting 'em with the kitchen torch! Why would you make your own jar of Marshmallow Fluff, you ask? Well, why not?! If you have about 20 minutes, a candy thermometer, and prefer something that is not packed with as many preservatives that gives the store-bought kind a ridiculous shelf-life, then make this fluff. I promise, the hardest thing about making this recipe is trying to get the marshmallow fluff into the jar. That, and trying not to eat all of it straight out of the bowl (although that would solve problem #1). Head on over to The Kitchn for the recipe! In other news, I just received the second draft (hard-copy) of my manuscript and Baby Huff got his first tooth! It's been a very exciting (and exhausting) week for all of us. You guys - it is starting to look like a real book! The end product will be 288 pages long, with 60 cakes and nearly 200 original color photos! I'll be spending my entire weekend combing through each recipe (for the hundredth time) and going over the format on each page. There is still a lot of work ahead, but it's going to be great - I know it. I just hope you all will love it as much as I do! 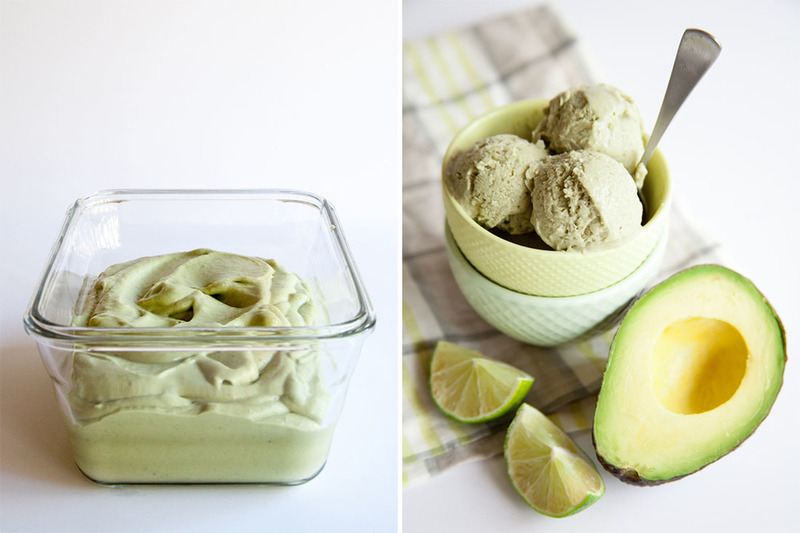 Avocado Ice Cream, y'all! By no means am I southern or have a southern accent, but I do love to throw in a good "y'all" from time to time - usually when I am really excited about something. And what is more exciting than a dairy-free ice cream that is actually creamy? Nothing! Made with avocado, banana, coconut milk, and lime simple syrup, it's kind of like a sweet, frozen version of your morning green smoothie. You could probably even get away with having a scoop or two for breakfast. Don't worry, I won't tell. Find the recipe over on Brit + Co.
Mad Libs food blog comments. Hilarious stuff here for anyone that has ever written on a public forum. Malt + Nuetella + Bicoff + Brownie. Another epic masterpiece from Heather of SprinkleBakes. Girl's always got me saying to myself, "Why didn't I think of that?" But we can all be glad she did and is willing to share. Swoon. Emma's "cheesecake" that's got me dreaming of kiwi kaleidoscopes over on My Darling Lemon Thyme. This charming read on Epicurious about European buttercream versus "The uncooked, powdered-sugar frosting generally called American buttercream is the chagrin of patriotic pastry chefs everywhere, and a far worse replica of its European cousins". A great use of all those summer veggies while still getting to eat cheese an crust. It's pizza but it's got hecka veggies, so it's healthy -right? From Love and Lemons. Lastly, a big HAPPY ANNIVERSARY to my husband, Brett. Be on the look out for an awesome Black Forest Cake recipe next week. Can't wait to dig into it later tonight!